Overlooking the historical town of Chalais (seat of the Talleyrand-Perigord princes and lords since the 13th century), the Eglise St Martial, with its beautiful facade and Romanesque carved doorway is one of four churches and a chapel, listed as a historic monument in 1902. 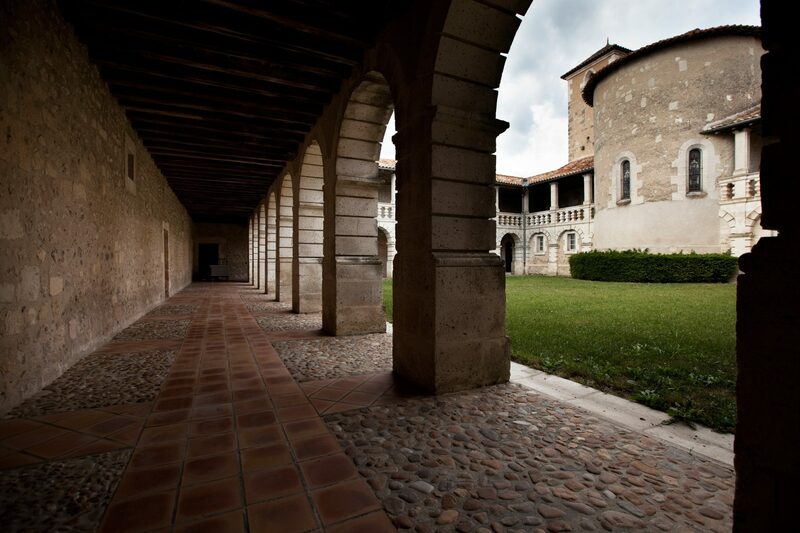 The adjoining cloisters were home to the monks of the Abbey of Saint-Martial de Limoges during the 17th century. 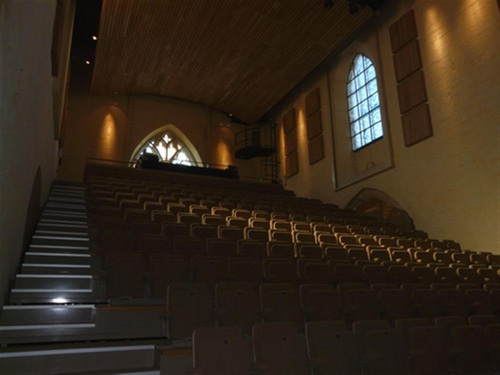 This ancient building was completely transformed 10 years ago to create a dedicated arts centre; a wonderful volume with an amazing acoustic sound, full of light, utilising the warmth of natural wood and ochre stone walls. 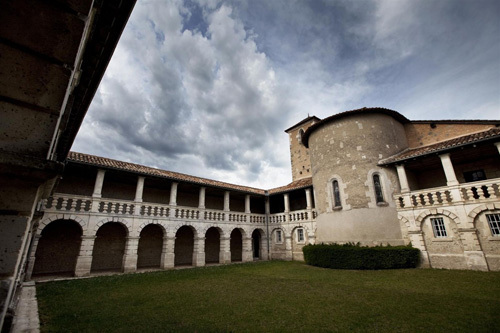 This magnificent Espace Culturel with a festive and cultural vocation plays host to 20 live events each season. Designed by architect, Maria Godlewska, it opened its doors to the public in January 2015. The town of La Rochefoucauld is best known for its renaissance château, sometimes referred to as “the pearl” of the Angoulême region. The Château of La Rochefoucauld, seat of the Duchy, has always been in the possession of the same titled family, one of the most important of the region of Angoumois. 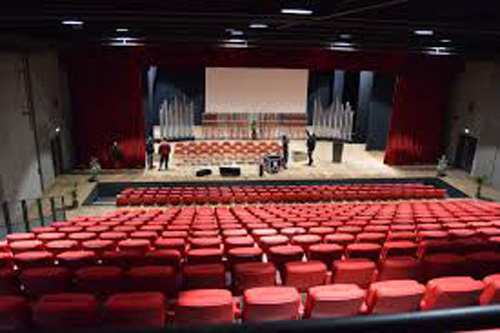 Les CARMES, the new cultural centre of the Communauté de Communes Bandiat-Tardoire is situated in the centre of the town.. 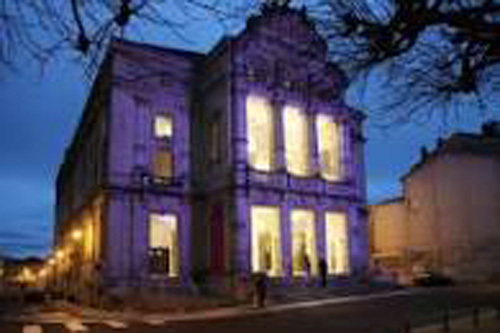 Originally a convent, the sympathetic restoration project creating a concert hall/theatre, exhibition area, rehearsal rooms, offices and much more was finished in September 2010. 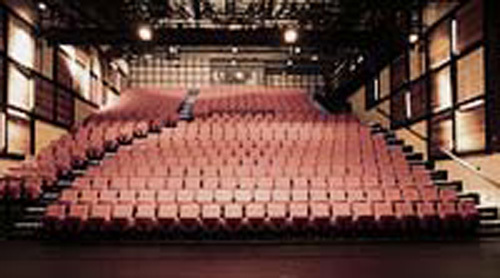 La Canopée opened its doors in September 2006. The cultural centre comprises a library of 900 m2, a 450-seat concert hall and a multi-purpose conference hall. 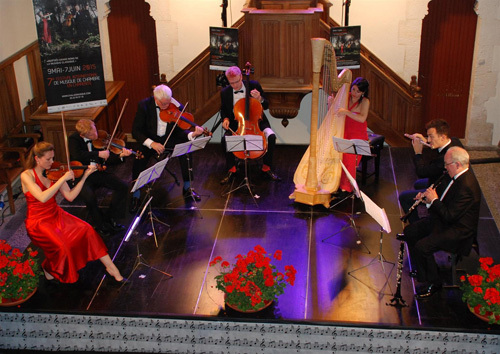 The project, « Scenes of written and performing arts » (as defined by the Charter and the various agreements with institutional partners DRAC, Région and Conseil général), is presented within a municipal framework. La Canopée has fast become a centre embracing both high art and popular culture alike.